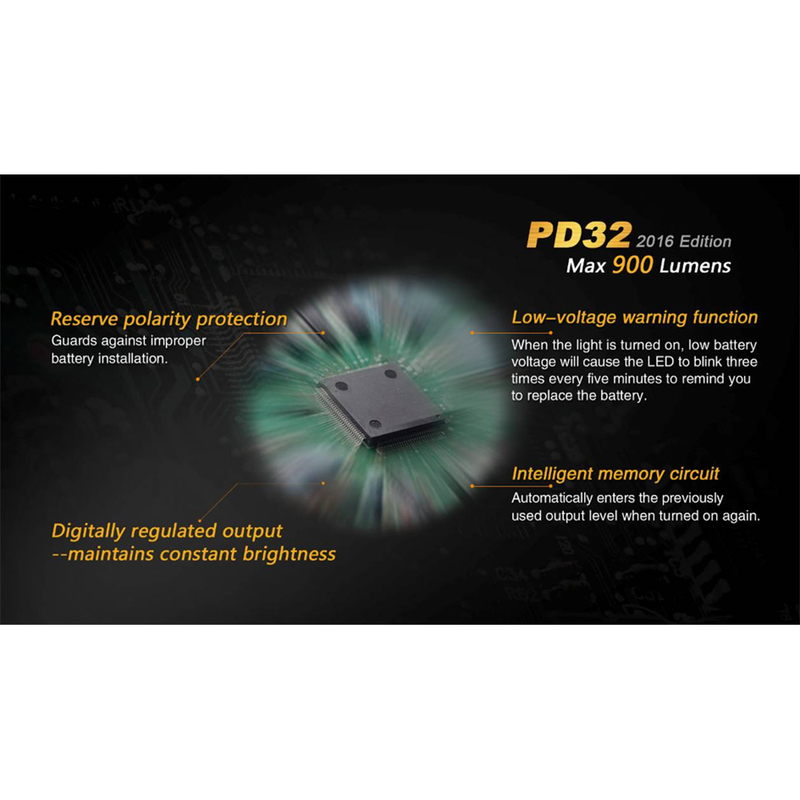 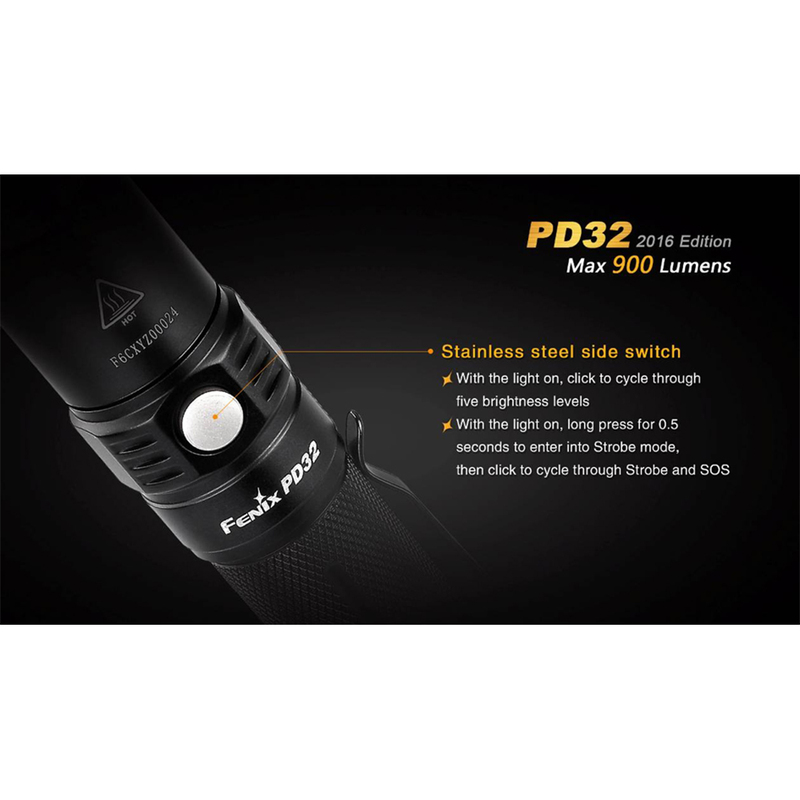 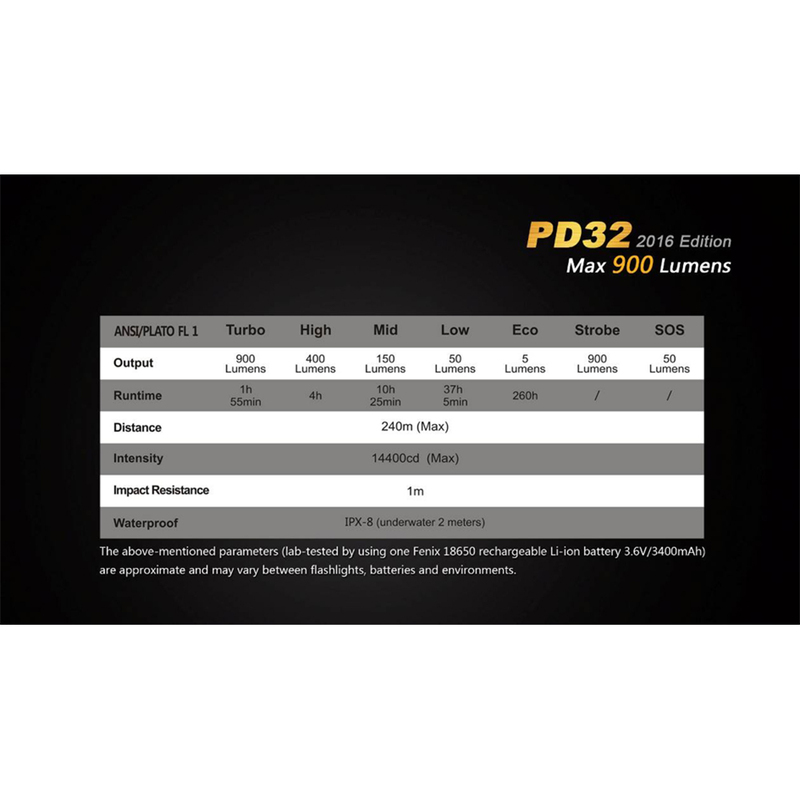 The PD32 2016 Edition is an incredible all-around flashlight. 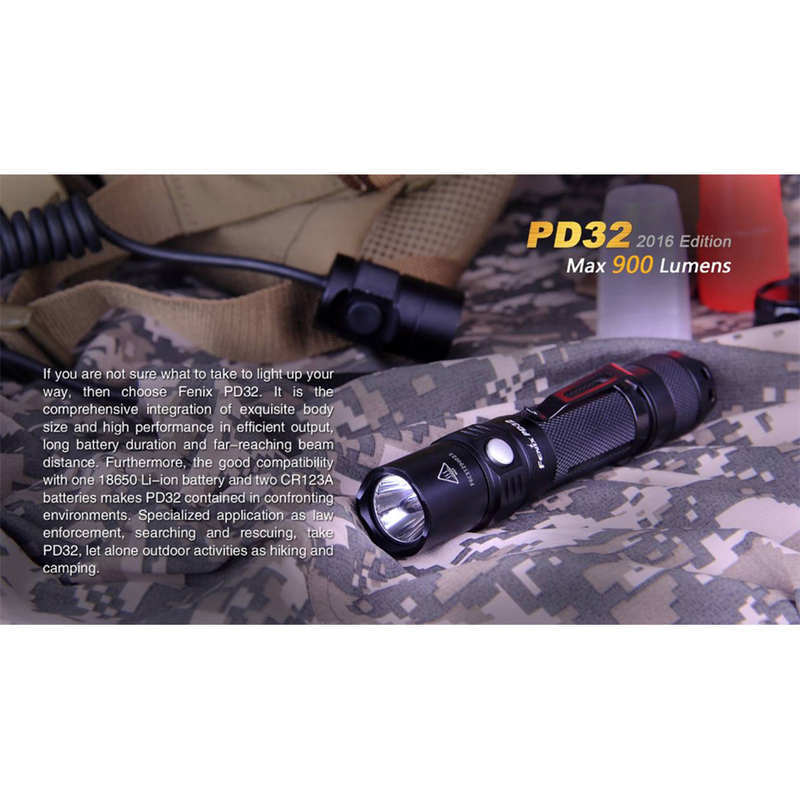 It has features that make it ideal for tactical users, outdoor situations, as well as indoor uses. 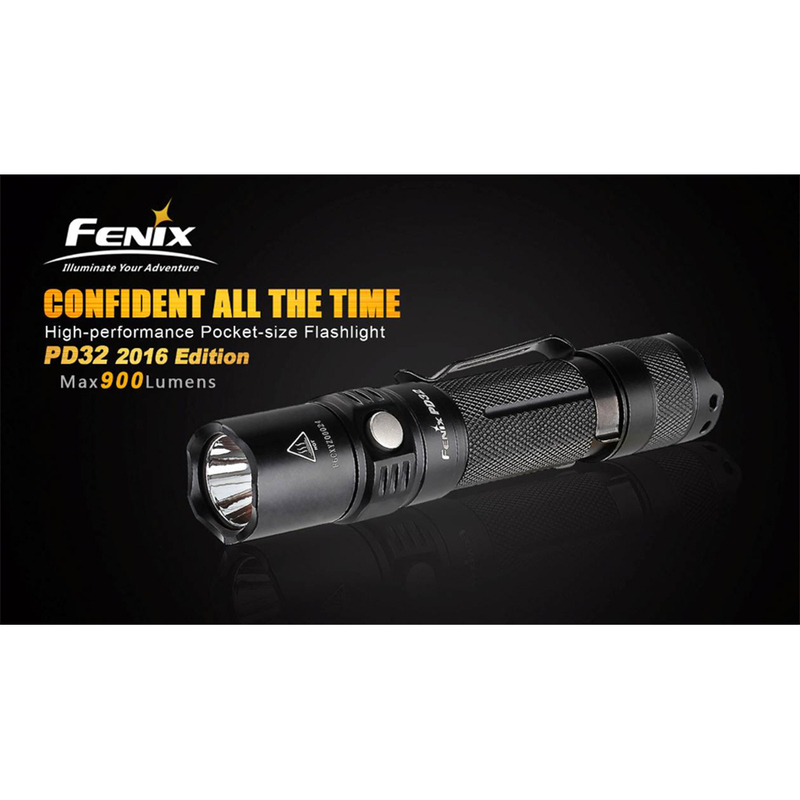 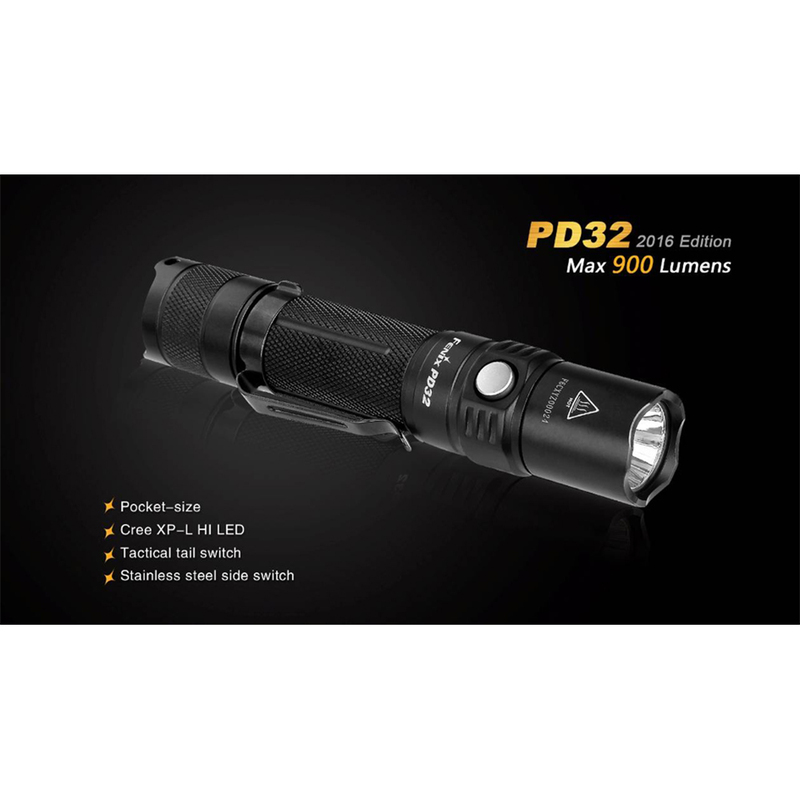 Best of all it's priced at the sub $65.00 mark, making it the same price as many flashlights which don't even come close in terms of performance or build quality. 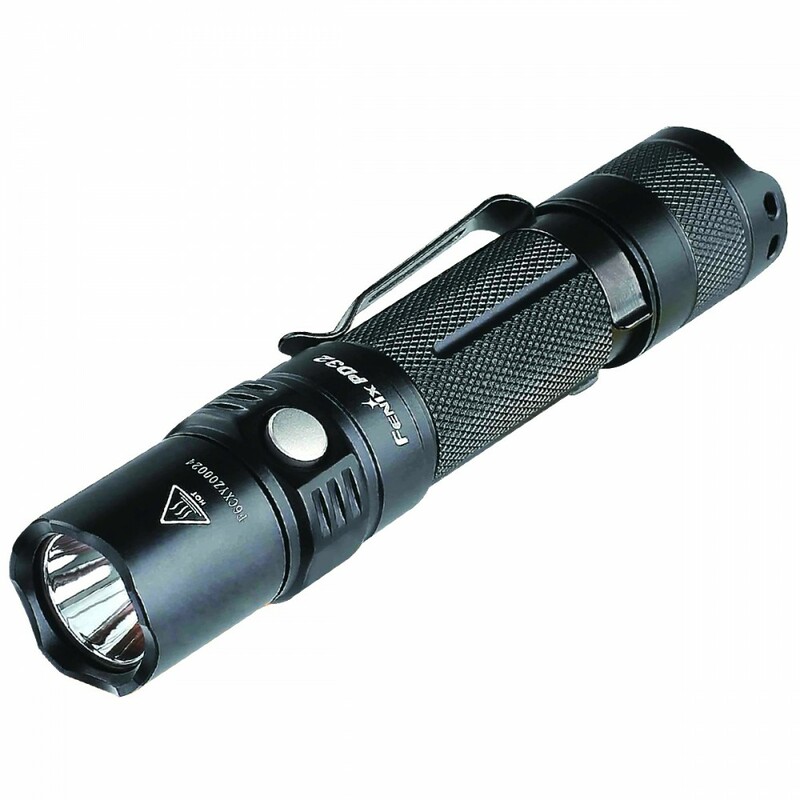 Anodized aluminum construction and O-ring seals mean this light is tough and reliable. 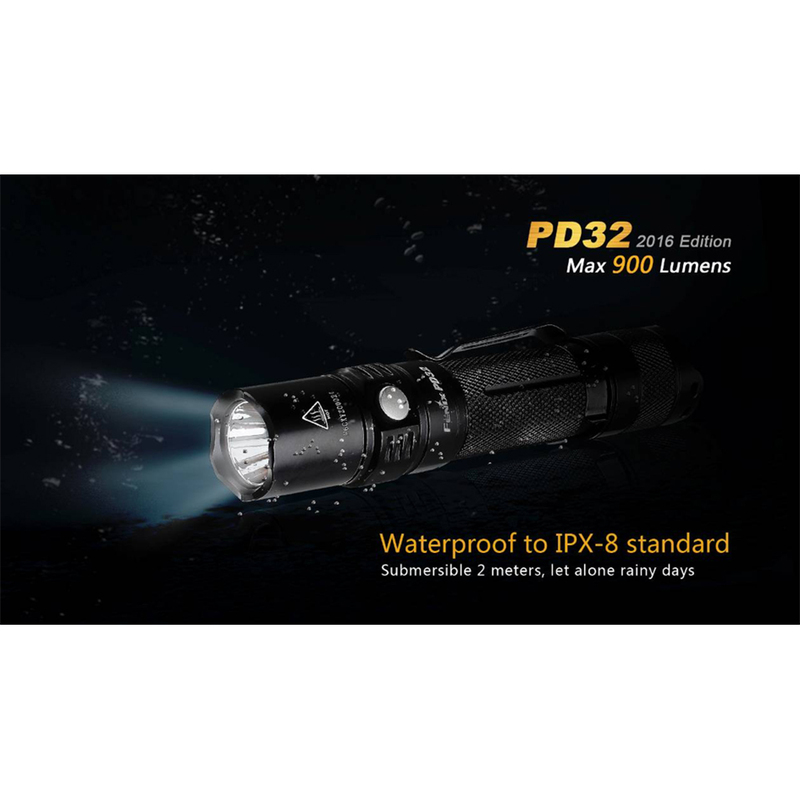 An IPX-8 waterproofing standard protects this light against water, while its durable materials protect against drops, impacts, scratches, and corrosion. 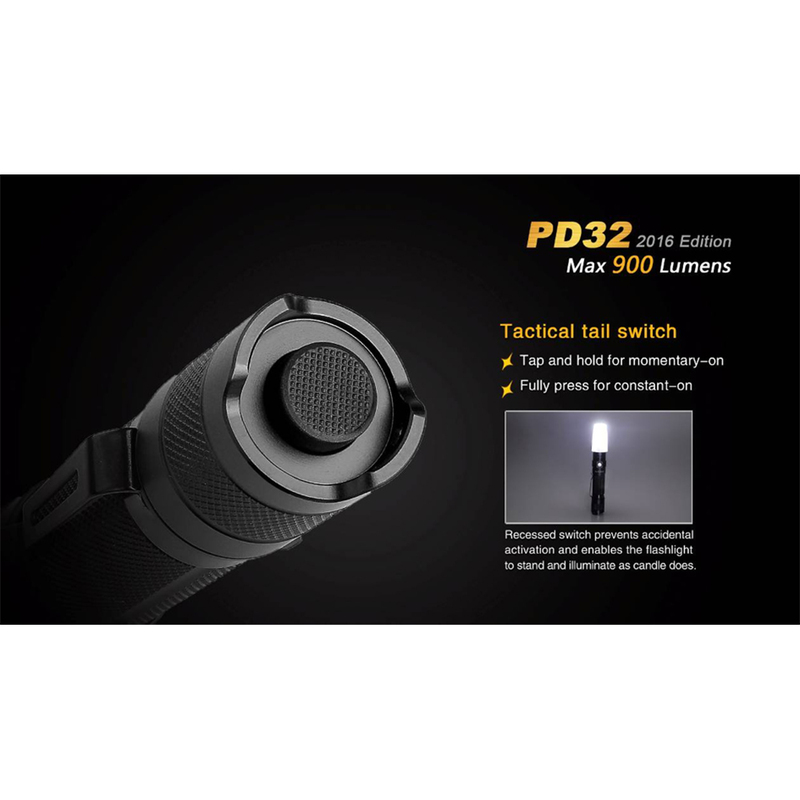 The recessed tail switch can be operated with one hand, making this an ideal flashlight for everything from walking your dog, to performing a tactical sweep of a building. 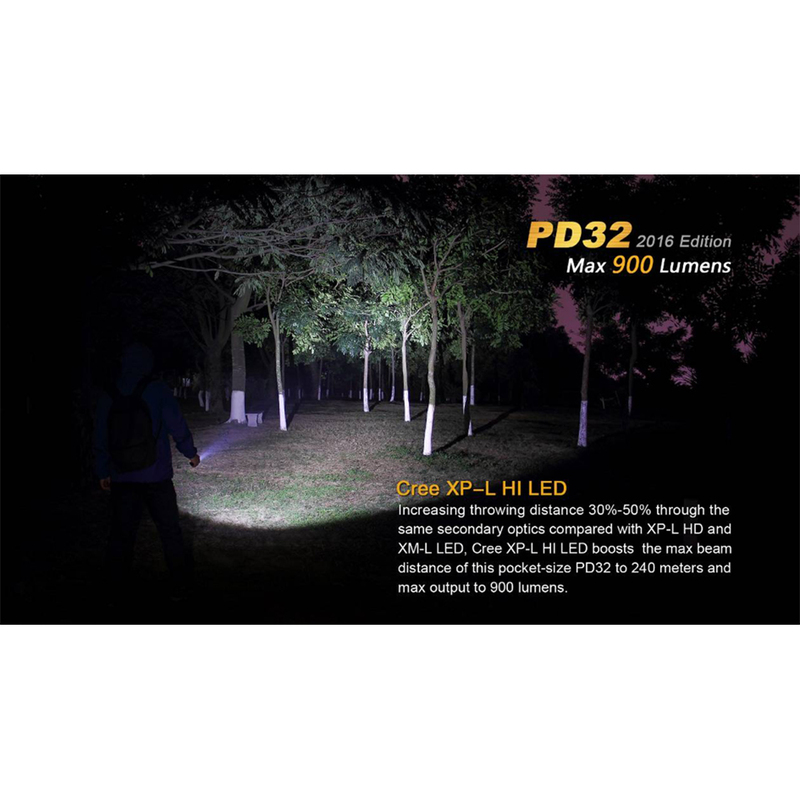 Multiple output modes give you the bright outputs needed for outdoor landscapes as well as lower settings that will save you from blinding yourself in closer quarters. 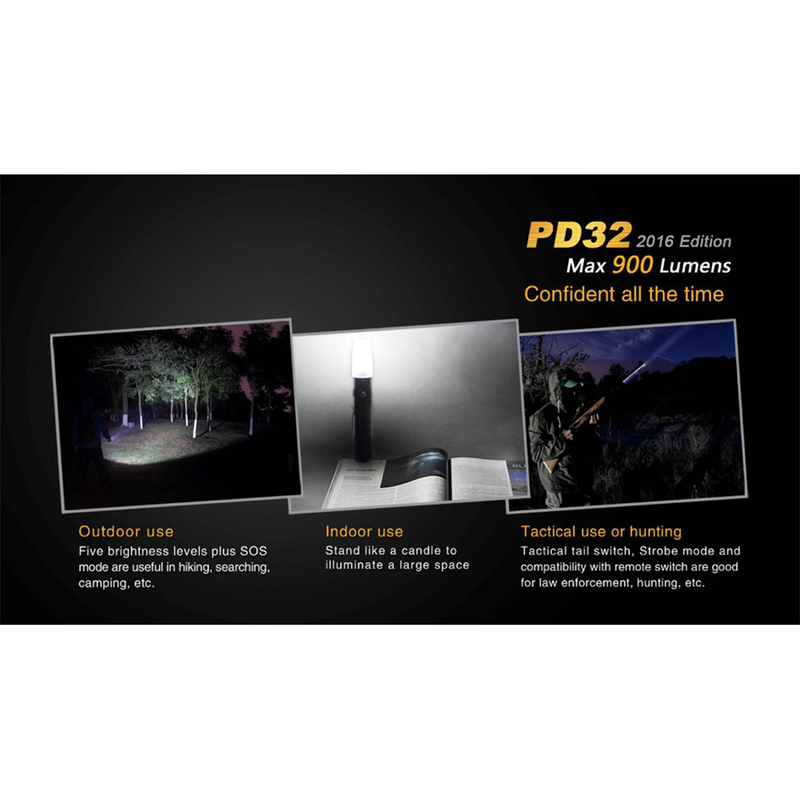 All of this combined makes the PD32 a truly well-rounded flashlight. 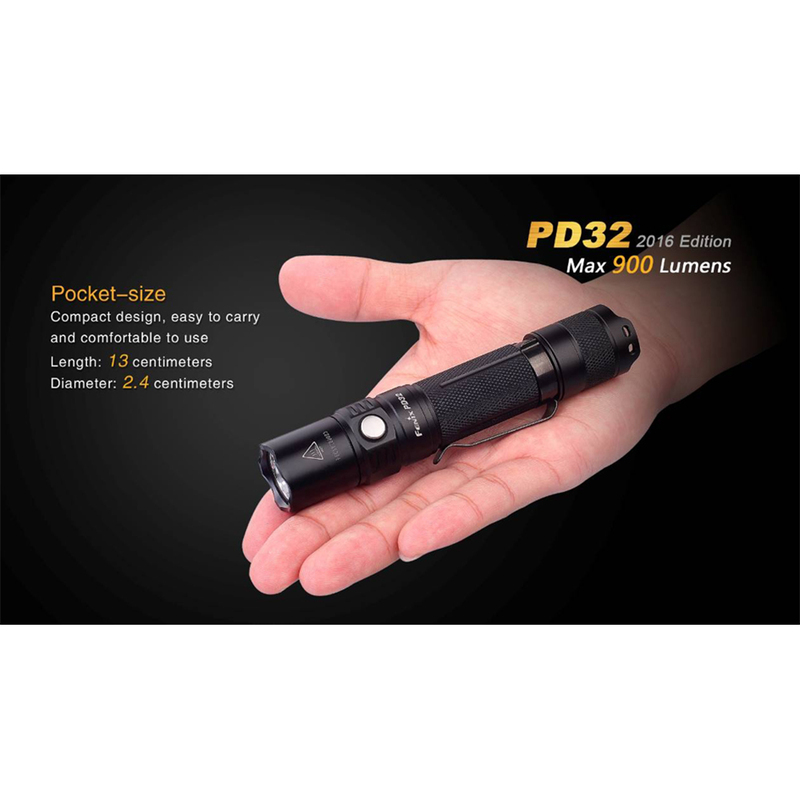 At 5 inches long, it's the perfect size for a backpack, glove compartment, or utility drawer.